home > Holiday memories start here! 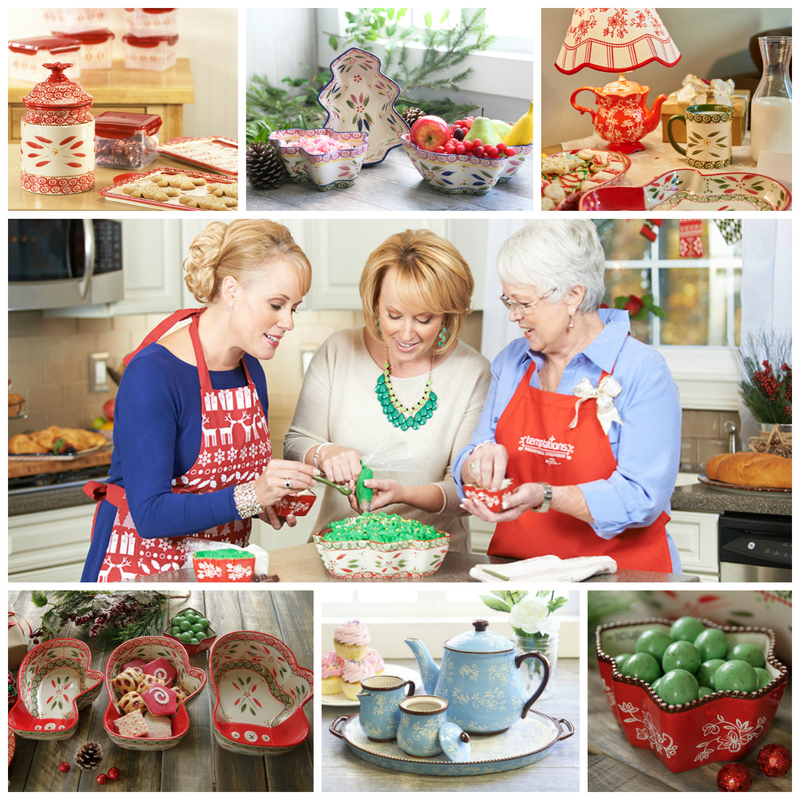 Is it just me, or do you agree that ALL great holiday memories typically start in the kitchen? So many of my favorite childhood memories are all about cooking or baking for the holidays with my mom. Everything from an extravagant Thanksgiving dinner to just baking up my fav….chocloate chip cookies for Santa. That warm feeling of being together in the kitchen still brings a smile to my face. This time of year, it’s so easy to get overwhelmed with prepping, wrapping, traveling…but those happy moments in the kitchen will always be the most important part of the holidays for me! And that’s the inspiration behind so many of the NEW temp-tations I’m debuting today — as well as so many of our best-selling favorites. Beautiful, cheerful, festive finds designed to help you make warm holiday memories of your own. Discover holiday favorites in brand new seasonal colors, adorable stocking stuffers and gifts for everyone on your list — from loved ones, to foodie friends, to tea lovers and beyond! 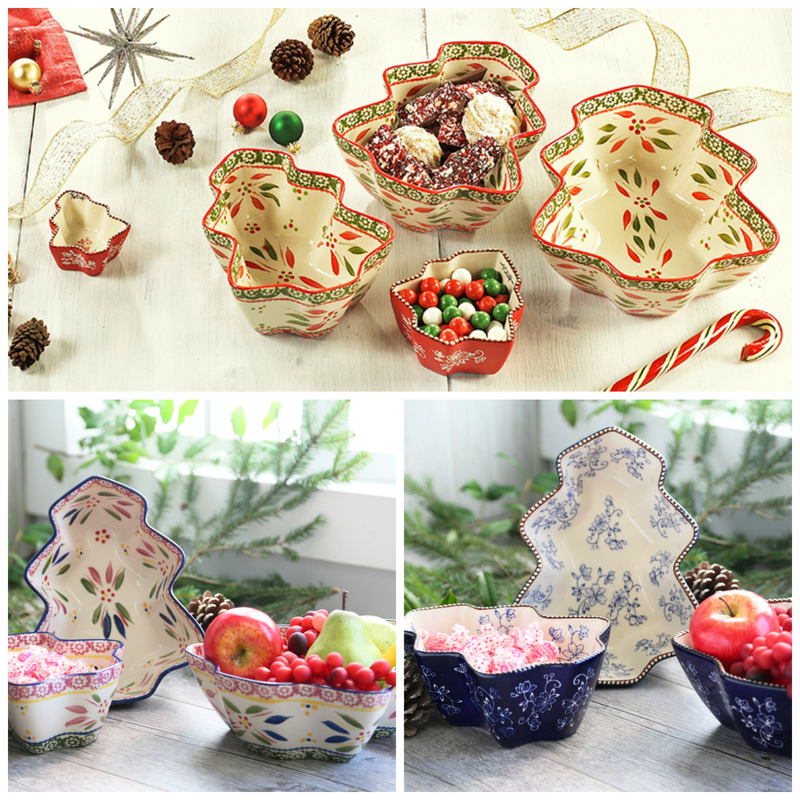 One of my favorite pieces for gifting this season is this adorable Set of 3 Christmas Tree Stacking Bowls, now available in Old World and Floral Lace, including an array of classic colors. And to add even more magic, pair your gift with these sets of Christmas Tree Measuring Cups in Old World and Floral Lace. Perfect for baking, but also great for snacks, dips and even tiny little tree-shaped brownies. Adorable! 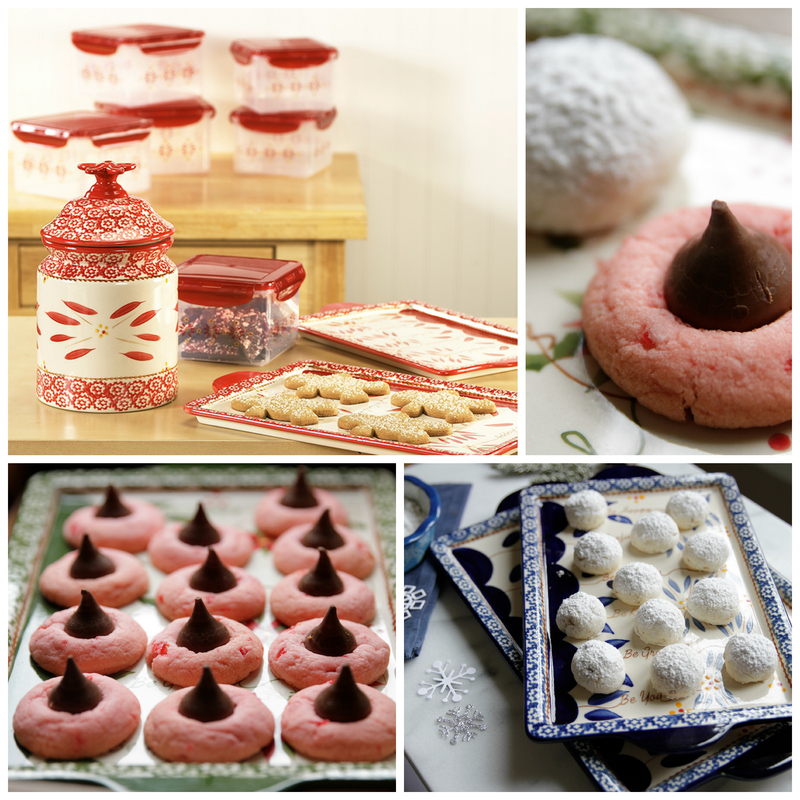 And for all you Cookie Swap fanatics out there, don’t miss the temp-tations Old World Cookie Swap Smart Bundle I created just for holiday baking season. 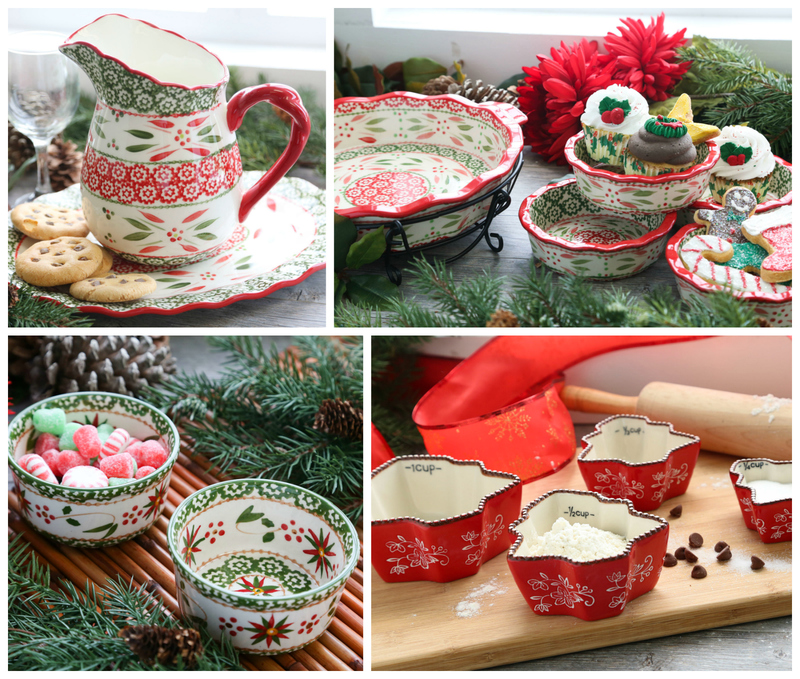 With this bundle, you get a Set of 2 Sentiment Baking Trays, Cookie Jar and SIX versatile storage containers in your choice of popular Old World colors, so you can bake, store and transport plenty of Cookie Swap goodies…and SAVE over 20%! And, don’t forget, temp-tations in classic Old World and Floral Lace colors also make great gifts that last the whole year through. Because that’s yet another important lesson I learned from my mom in the kitchen: Having the right bakeware pieces in your kitchen makes every meal easier and more enjoyable. Whether you’re hosting family dinners, cocktail buffets, casual get-togethers or gift swaps, here are some key pieces sure to delight any hardworking hostess. Including you! Check out these new favorites, as well as delicious recipes that go with them! New 3-pc. 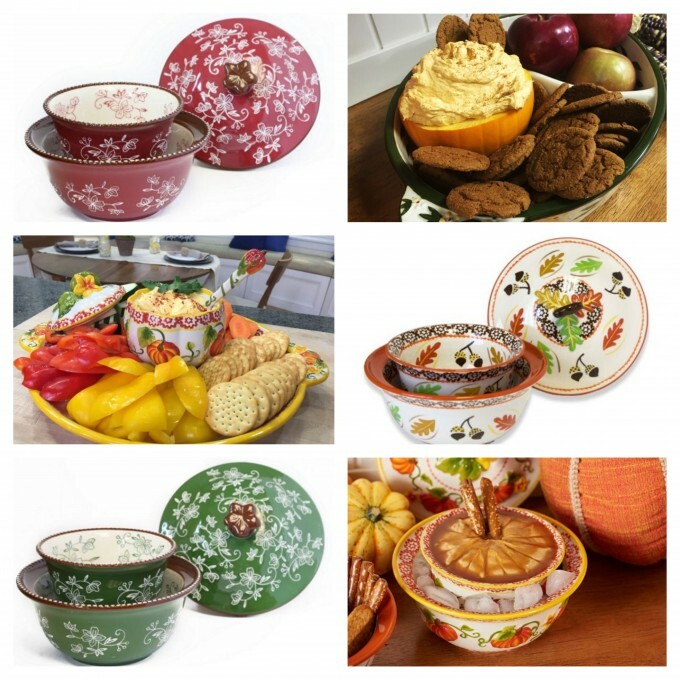 Lidded Chill & Serve Sets in Old World and Floral Lace eliminate the guesswork when it comes to serving up fresh dips, sauces, desserts, appetizers and more. Simply fill the base bowl with crushed ice, add your favorite chilled recipe in the serving bowl, top with the lid and get back to hosting. Cold foods will stay chilled, yummy and ready for your guests to enjoy. Perfect for recipes like my Pumpkin Spice Fluff Dip, Fireside Cheese Spread, and Salted Caramel Pumpkin Cheesecake Dip. 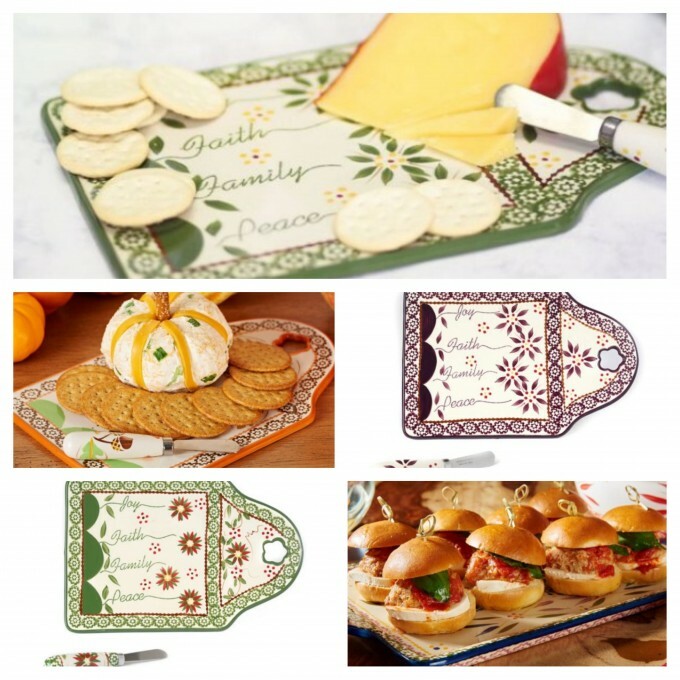 The New Old World Cheese Board with Spreader serves up favorite cheeses, nibbles and more in style, complete with heartwarming sentiments and a ceramic-handled spreader. And because it’s oven safe up to 500 degrees, you can use it to bake brie or warm rolls, too! Try the cheese board with my Cheddar Pumpkin Cheese Ball recipe or Mama Mancini’s Meatball Sliders. 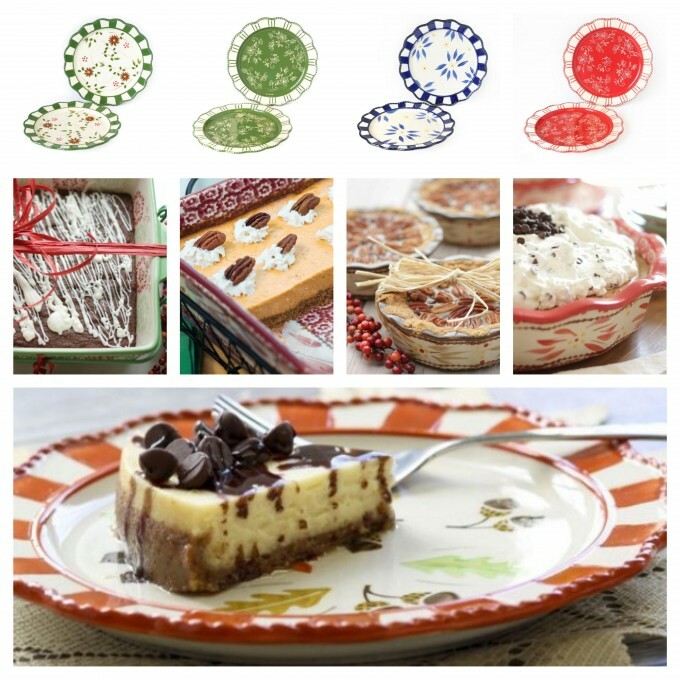 New Sets of Two Dessert Plates are perfect for serving your favorite holiday pies, cakes and goodies. Now in a fresh new design twist on the classic Old World and Floral Lace patterns. Use them to present desserts like my Gingerbread Brownies with White Chocolate Drizzle, Pumpkin Cheesecake Bars, Magic Pecan Pie and Cookie Dough Pie. New Old World and Floral Lace 16-oz. Café Mugs – perfect for coffee, tea, desserts and more! 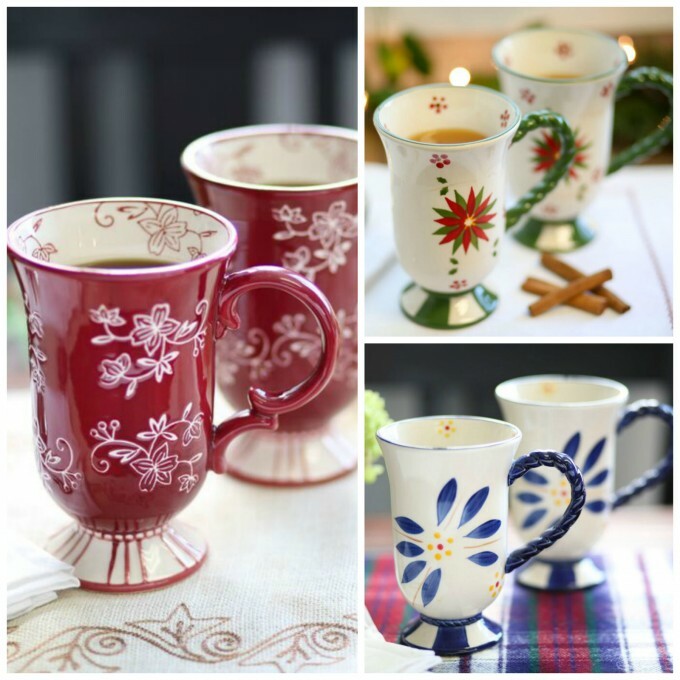 These generously-sized café mugs are too charming to resist, and hand painted in a fresh new design twist on the classic Old World and Floral Lace patterns. You’ll want to serve them with Luck of the Irish Coffee, Heavenly Drinking Chocolate, and Chocolate Covered Cherry Hot Cocoa.